Online positive reviews are the best publicity your law firm can receive. While repeat business and word-of-mouth referrals are a key source for generating revenue, small firms and conveyancing practices should not rely solely on these approaches for business development. 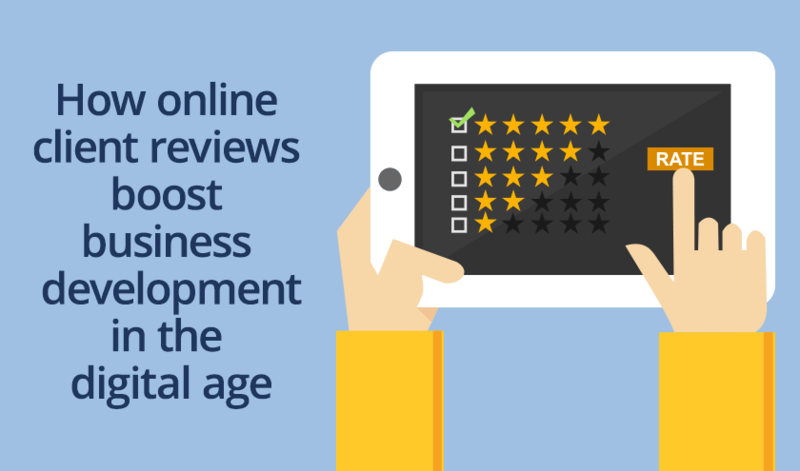 Online reviews promote your firm beyond your existing client network. Also, because online reviews are displayed in search results, the person who is reading the reviews can be qualified as interested. Interested people who read online reviews and then contact your firm become your potential clients. Consumers read an average of seven reviews before trusting a business (source: brightlocal.com). How does a review help my firm? Research shows that 92 per cent of consumers generally trust peer recommendations more than they trust advertising when it comes to purchasing decisions. When a positive review of your law firm is posted online, potential clients who read these reviews are more likely to come to you for help. According to the Harvard Business School Working Paper Reviews, Reputation, and Revenue: The Case of Yelp.com, a one-star bump in rating helps a business increase revenue by 5-9 per cent. Public recognition of your legal services is a win. This confirms your legal expertise to deliver client-focused solutions and will persuade a potential client to contact you for advice. You can continue the discussion by thanking your client for their review and wishing them well. You should respond to all reviews as it shows potential clients that your firm cares about your clients’ experiences. How do I ask my client for a review? Ask for a review at the right time. Usually this is soon after the matter has been resolved and you have followed up with them to see how they are doing. Be bold and ask for a review. Be direct and provide links and instructions to simplify the process of submitting a review. Send a reminder if your client doesn’t post a review. A friendly email or call is acceptable to remind your client to review your firm. For more tips on receiving client reviews, read 10 simple steps to get online reviews for your business. What should I do when my firm receives a negative review? Genuine negative reviews are an opportunity for you to assess the complaint and offer a solution. Create an outline or template that you can complete when you need to respond to a negative review. This will help you to construct a response that puts your firm in the best light. If it’s possible, have an offline talk with your client straight away. thank them for the feedback. Always thank your client for the review and for their business and in time you’ll benefit from the increased online visibility of your legal practice. Gain a deeper understanding of Google My Business, Search Engine Optimisation (SEO) and keywords to increase your law firm’s online presence in this webinar: Increase Your Small Law Firm’s Online Presence. Watch the webinar here. Sajal joined LEAP in 2017 as a Product Consultant. 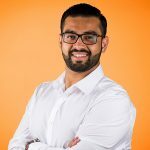 He is passionate about assisting firms to become more efficient and profitable through utilising technology to improve processes, increase productivity and reduce costs.